Anthony Tai Q. Pham, DDS, Inc. Welcome to Anthony Tai Q. Pham, DDS, Inc.! Since starting his practice in 1994, Dr. Anthony Pham has become recognized as a knowledgeable and respected member of the dental community. With over twenty four years of dental experience, he possesses several specialized skills from Pedodontics to Cosmetic and General Dentistry. Dr. Pham always has a strong desire to stay at the forefront of oral health advances. Dr. Pham considers it an honor to have earned the trust and loyalty of his patients. His office staff is cordial and welcoming on the phone and during patient's visits. They are experts at caring for and attending to any special requests or needs that you may have. Dr. Pham’s goal is to make every patients feel special and to make their experiences comfortable, enjoyable, and educational. Above all, he strives to treat each patient like his family. Our office strives to provide the highest level of dental care and service to our patients. Dr. Pham always takes time to listen to individual concerns and discuss ethical treatment options so the patient can make the best informed decision for him or herself. We have a great team of friendly staff who take the extra mile to make a person comfortable in our office. It's a family oriented office that welcomes patients who cannot leave their children at home during their appointments. As a result, the playroom has been helpful keeping kids busy and occupied. We pride ourselves on making our patients our top priority! 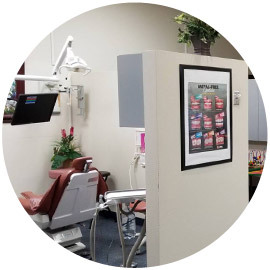 We take time to customize an experience for each individual patient in our office. We will always do our best to deliver outstanding service and thoughtful care as they deserve. 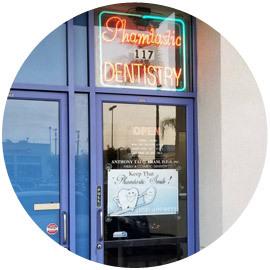 Ultimately, Dr. Pham hopes that his patients will appreciate his honest and ethical approach to their dental treatment, his ability to relieve them of their dental pain, and his skills to transform their dental condition into an aesthetically pleasing, confident, and "Phamtastic" smile! From your regular cleaning to deep cleaning, crown, bridge, and implant - get all your the nesessary treatments here. Consultation is FREE! Copyright © 2019 Anthony Tai Q. Pham, DDS, Inc. All Rights Reserved.